Might you be wondering if stamped concrete surface is good for your driveway or not? Perhaps you have a million questions running through your head about driveway stamping. Relax because you are on the right page. If you have any questions or need driveway installation, call us on 916-571-0908. Stamped driveway is more economical than other types of materials like natural stones and pavers. The initial cost of installation may be expensive but you will enjoy a stamped driveway a lifetime. It is the best material among all pavers. In worst situations like adverse weather, stamped concrete lasts longer than typical concrete driveways. 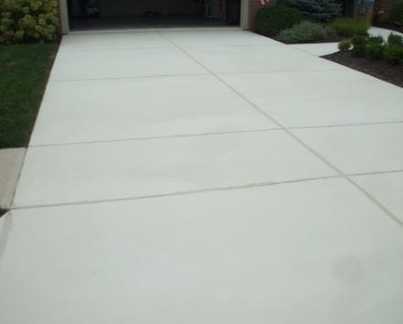 Color hardeners are used to protect driveways from common wears. Less maintenance is needed as it doesn’t give space for weed growth. If maintained well, stamped driveways last for decades. When it comes to aesthetics, stamped driveways are hard to beat. There are many color patterns and designs used in concrete stamping. The most popular designs being natural stone textures like slate and limestone. We can also make your driveway look like brickwork or cobblestones through stamping. The difference between the stamped surface and the natural stone is the absence of joint lines. Earth tones look great on any property but brick patterns consist of russet or red colors. The surfaces do not seem faked even a bit. They are very realistic since actual materials are used to mold stamping mats hence forming original patterns. For natural color variations, we apply integral color plus coloring media. No weed or moss can form between the joints because stamped concrete is real. Unless you are a qualified driveway contractor, we discourage you from installing a stamped driveway. Skilled labor is needed in stamping lest the surface backfires. Time is of utmost importance here and the installation requires a lot of organization, expertise, and preparation. A DIY project will cost you heavily especially when you start counting the necessary materials and tools needed. Unless you have multiple projects ahead, purchasing new tools for stamping your own driveway is cost ineffective. Heavy traffic, harsh weather, and efflorescence are among the factors that cause fading. These issues can be reduced through regular cleaning and sealing. These two maintenance practices never fail in the long term. We don’t need to pull out your existing concrete driveway. If the existing concrete is in good condition, we simply apply a stamped overlay and it will turn out to be as new as a newly installed surface. Stamped overlay is a great upgrade of plain and boring concrete surface including the patio, pool deck, or interior floor. Stamped concrete has a texture that is non-slippery, unlike typical concrete which is extremely smooth. But care must be taken when walking on the stamped surface during a wet season. However, several measures may be taken to increase slip-resistance of the stamped driveway. It is very tempting to apply de-icing salts during winter. Deicers damage the surface because chemicals involved (ammonium sulphates and nitrates) cause scaling of the concrete surface. Sodium Chloride (rock salt) on the other hand causes little damage but denatures vegetations and cause metal corrosion. Instead of using these harsh chemicals, sand should be used to increase traction. The landscape is a great inspiration when choosing what color and design to use in the driveway. If your home, for example, has a brick exterior, the theme should be matched with brick-patterned driveway or borders. The other alternative is to pick a design which blends with the environment. It is very important that you find a contractor with diverse experience in concrete stamping. If you check the portfolios of our contractors, you will find inspiration on colors and patterns you would like for your stamped driveway. If you want real samples of stamped driveways, we can take you to our showroom so you can see the exhibits. Also, you can check our website to find descriptions of different driveway designs we provide. From Nimbus, Governors Village, Folsom Junction, Alder Creek, La Cresta, Natoma, Gold River, Orangevale, El Dorado Hills, Prairie City, Marina, Ridgeview, Hidden Valley, Oak Ridge, Saint Andrews, Lakeridge, we offer all types of driveway services. Let us know when you need us.